I started playing hockey back at Millfield prep school along with lots of other sports. I started focusing more on hockey at Senior school as well as playing Welsh age groups. I then captained Millfield first XI. 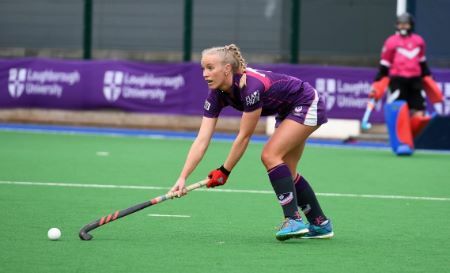 From school I went to Loughborough Uni where I played for the first team (as well as suffering with a few injuries), in my final year I was voted in as vice-captain, and at the end of the season was voted by my team-mates as players-player. I now play for Buckingham HC. In summer of 2014 I received my first Welsh senior cap in a series of games vs Scotland, I now have 9. I started coaching in my last year of school, I coached Somerset girls U15, I then carried on at university coaching Loughborough 3rd and 4th team girls as well as coaching at a number of hockey camps. Best Sporting moment: Winning Prem division BUCS Gold 2018 with my team at Loughborough University. Favourite Food: Steak (with garlic butter) and chips/ Spag bol with cheese. Spend time with my lovely family. Go on walks/ to the beach. I used to be a trampolinist. U16 team national champions for athletics and squash 2 years in a row. I have a BSc in Sociology and an MSc in Marketing.